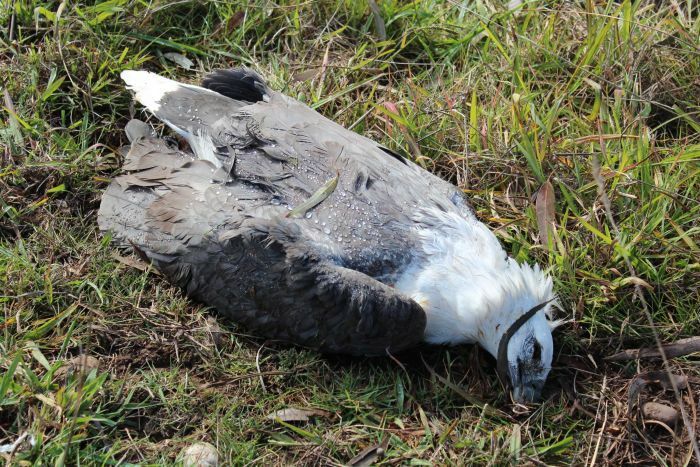 A farmer in Bairnsdale could face charges over the fatal poisoning of five white-bellied sea eagles found dead near Bairnsdale last month. The threatened birds were poisoned after eating corellas that had been illegally baited. DELWP has formally interviewed a Bairnsdale man after speaking with a number of people who live along the Mitchell River near Bairnsdale. The white-bellied sea eagle is one of Australia’s largest and most spectacular raptors and is common to East Gippsland. They measure about one metre long and have a similar wing span and flight pattern to the wedge-tailed eagle. Using poison to destroy protected wildlife attracts fines of up to $15,600 and/or six months imprisonment. “If a person is convicted in court they may well find themselves going to jail for such a callous and hideous act of cruelty,” Mr Oldis said. This entry was posted in Fauna Impacts, Homepage on August 1, 2017 by Anthony.